Marketers on Facebook typically enter the venture believing that things are as easy as they look. After all, with over a billion active users, there’s more than enough traffic to go around. Right? Another random brand on Facebook is like another restaurant in New York City. Customers just have an abundance of options, so walking into your eatery requires some savvy marketing. One of the best ways to make your presence known immediately is to share quality, pertinent content with a specific type of audience. The Facebook share system is complex, varied and, like it or not, sharing is an essential part of social media’s function in total. Whether it’s you sharing your content with a crowd, sharing other people’s content, or other people sharing your content, it’s all about sharing. Here are some simple, effective tips to help you share content on Facebook. 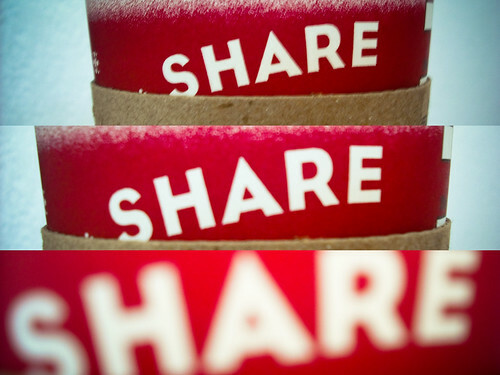 Remember this: Sharing on Facebook works in two main ways. The content your deliver (that you share), and content that’s picked up and shared by others. They tie in together in a simple yet brilliant way; e.g. the better the content is that you share, the more likely it is to be shared. With that in mind, try to play to the visual trend of Facebook. Look at top brands like Coca-Cola and Apple as a quick example. Instead of producing lengthy, wordy posts, they say what they need to with a picture. They can get their point across in a short video clip. It doesn’t take much time or money to throw together something good in Photoshop or to put a few video clips through your video editor. When you tag other brands in your status, you’re increasing the number of channels customers can use to find you. Strategically tagging other brands that are related to your business is a great way to increase your overall presence through reach and depth. The wider your reach extends, the more likely it is that you’ll be found. Say that you sell refurbished monitors. You may want to tag a brand who sells towers, PC gaming equipment, graphics cards, or something else in that general niche. By doing so, you are directly linked to that niche. If someone wants a tower, they might remember they also need a good, inexpensive monitor. And you’re the brand they’ll find. Long-windedness is an unbecoming trait of a social media marketer. Not all of your content is going to be photos or videos; you will probably be releasing a lot of text-based posts, especially status updates. The idea here is to be as short as possible while still saying as much as you can. How can this be accomplished? You can say a lot without saying much at all by offering a teaser with a call to action. If you can highlight what the point is in a few words, you can then direct people to “click here” to find out more. Showing personality on a social networking site is imperative if you’re hoping to engage and build rapport with your fans. Being strictly business and posting dry material bereft of personality isn’t going to cut it on Facebook. Instead, look to keep people entertained. Humor is a great way to strike a good chord with an audience. Try to stay away from raunchy, offensive humor and instead go with something that’s lighthearted and that appeals to all ages. Humorous material is also shared in large numbers by fans with their friends. Seeking to engage with people on Facebook requires you to treat the social networking site like an actual networking site. You can share, Like and comment on other people’s material too. You can answer questions, address concerns, and thank people for their comments and support. You can seek to engage people with different polls, promotions, product reviews, etc. There’s no big secret on Facebook as to what type of material is engaged with the most. Material that’s entertaining and fits Facebook’s purpose makes the rounds. Just make sure you tie in your brand and product message with your material. Sharing on Facebook won’t instantly transform a startup brand into a widely successful brand, but it does offer a start. The more you’re able to engage with people, the larger your audience is going to grow. A few posts that go viral and that are shared by a large number of people will bring a massive influx of users to your brand. Just remember to keep the quality high in order to keep people hanging around. I started a blog years ago and have never had much success with promotion on Facebook (may be twitter). From he above tips, I can understand that tagging and fully engaging users matters a lot.. I’ll try these tips and come and post a feedback.